I didn’t handle the diagnosis of my parent’s well. I thought that hearing a doctor tell them they had dementia would suddenly make helping them easier for me. I finally realized that it was equally devastating to my Mom every time she was told. For a large majority of individuals with vascular dementia – the type that comes after a stroke – they are unable to recognize their loss. My Mom had no physical changes, and for the first few months thought I was making up the fact that she had a stroke. The medical term is Anosognosia and I wish I knew and understood this when my Mom was diagnosed. She was medically unable to perceive that she had difficulty with her thinking and memory. 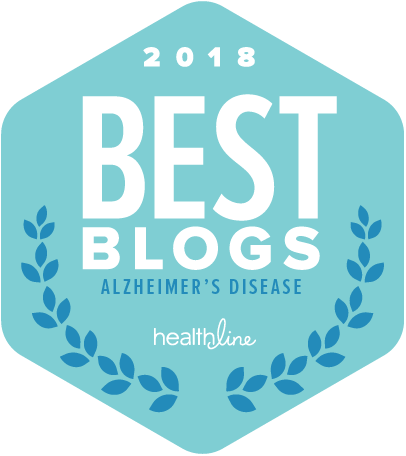 In the years since I lived through caring for two parents with dementia, I have found many individuals that don’t understand why a diagnosis mattered at all. 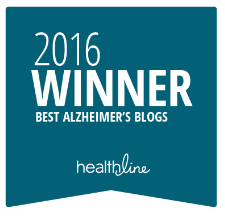 A recent story on NPR Is It Alzheimer’s Or Another Dementia? The Right Answer Matters reinforces the need to get a diagnosis. 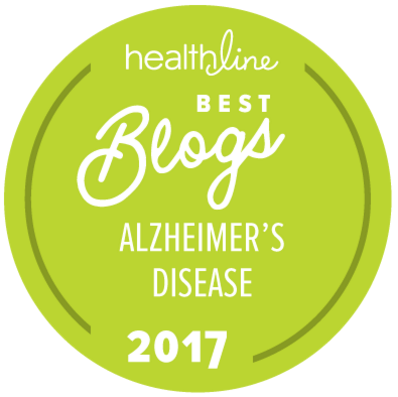 Apparently, most people default to the belief it is Alzheimer’s, and having some insight can also help the care partners manage better. I have had a long-standing discomfort with the share of voice Alzheimer’s has taken. First and foremost is because most people don’t even know it is the most common form of dementia. I didn’t realize it until my Mom was diagnosed with Vascular Dementia, while my Dad was diagnosed with Alzheimer’s. What I have learned is that the primary types of dementia all come with varied behaviors, risks, possible treatments and care plans. One form of dementia comes with symptoms that present more as a personality change than symptoms of dementia. In general, changes in behavior, mood, and memory should all be discussed with your primary care physician. Knowing more can help everyone and I hope you will help learn more should you be concerned about your own health changes or those in a loved one. Encouraged. Imagine an Apple Tree full of fruit. In full bloom its strong and healthy and has tolerated years of weather to finally reach it’s peak performance. The fruit of the tree is enduring, adapting and resilient in its growth. Each apple holds millions of millions of experiences not unlike the other but each also has a unique single experience dependent on the environmental aspect, a protective shade by other apples, wind, rain, worms, storms and droughts. Each apple has it own life experience as well as a collective integrative experience as a whole tree. As the fruit baring tree reaches the end of its season the apples will eventually fall one by one until the tree is bare, the leaves also fall leaving just the foundation of the tree to regenerate for the following season. The tree is tending to the cycle of rest and rejuvenation for the up coming seasons. I used to harvest the yield for better use never leaving them to left to rot. The Apple Tree was full of fruit, strong, and resilient after many, many years of pruning and attending to nurturing and nourishing the foundations. The tree produced strong seedlings with even greater capacities than its own. But then the fruit started to fall slowly before seasons end and without catching the yield for re-ingestion and further use. The tree still looked full and healthy from a distance but bare areas started to appear. as the apples dropped early. The tree redirected nutrient rich resources to the maintaining fruit allowing rich sweet fruit to shine and grow larger and other new branches started to grow in place of the now less the nurturing branches. Time passed and bare areas are compensated by newer limbs but much smaller than the original sturdy branches. The tree bares a mixed yield of large sweet fruit and smaller fruit, not quite as resilient and delicious as the others. The new fruit struggles to demand the same rich nutrients to become like the others. the sweetness has gone, the texture has changed and the colour not as bright and glossy . . . but still an apple all the same. The difference is finally noticed from afar and attention is given to pruning the tree to assist the newer limbs to establish greater access to the nutrient rich foundations in which the tree is deeply rooted. The new limbs continue to struggle to produce the same rich fruit and more pruning is done to allow the tree symmetry with its yield. There is now a general down sizing of the next seasons growth as attention is given to right the imbalance. The tree looks the same but different. Still the same apple tree deeply rooted in the nourishing soil but smaller and needing more attention than in the past. The apples are collected and have now systematically changed from the original. Occasionally an odd apple grows amongst the smaller ones resembling the fruit of the past. Its surprisingly rich tasting, shiny and fulfilling. Hope begins as attention is given to a possibility of return to seasons gone by. Sometimes there is a small cluster of rich ripe apples and a decision is made to acknowledge them but not at the cost off ignoring the overall yield that continues to struggle. Still, the full apple is happily ingested and memories of past seasons are appreciated. As more time passes, much care is taken as the yield is smaller and the apple tree is given extra nurturing in its final baring times. Someone now helps waiting for the apples to fall carefully catching them one by one. Then, few fall at once and are missed left to rot but not unseen. It’s too late for them to be utilised. The apples that are caught now have another use. No longer an independent fruit to be enjoyed on its own, it requires many apples, attention and care. A new plan is made to be enacted with help. More time and attention is needed to appreciate the apple and complimentary things are gathered to support it. A deliberate approach in the treatment of the fruit is vital for it to again be enjoyed and ingested by those who still love the apple tree. With much attention, care and support the Apple Tree is transformed from its once full self with ready to enjoy fruit, to now needing support and attention as is now known as the “Little Apple Pie Tree”. Thank you to all that help gather the apples before they fall and those that figure out the best recipes to try, and of course, the chef for bringing all the ingredients together. The resulting delightful pie is shared by my family and friends with much praise to you all. Our family adores sweet apple pie and your assistance with making it possible. Karyn (the Little Apple Pie Tree) and her grateful full bellied family. Thank you for sharing. I read and re-read understanding more each time. I say that every one of us with dementia has a different experience and journey, now there are more of us being diagnosed earlier it is important that society recognizes this!